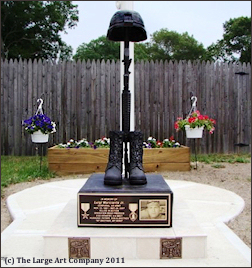 One of the more common questions we receive about the Fallen Soldier memorial sculpture is who is and who is not eligible for the discount that we offer for the families of our fallen troops. The intent of this discount is to give the parents and spouses of fallen troops a break on the cost of memorializing their lost loved one. It is our feeling that these families have already paid a high enough price and this is our way of expressing our appreciation for the sacrifice they have made. 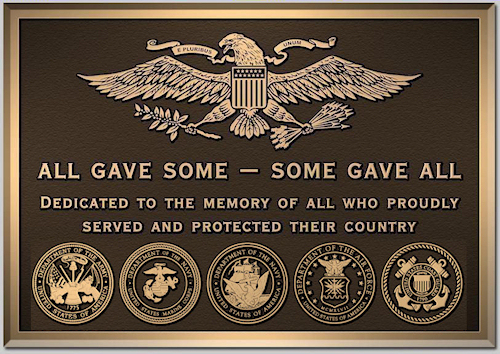 It is not about giving a discount to anyone working on a memorial for someone lost in the service of their country, because that would include just about all of our customers. This discount, which if you do the calculation is 11%, represents our profit on this sculpture. If we gave this discount to everyone, then we may as well go out of business now. We thought that saying this is a family discount would be self-explanatory, but over the years we have had numerous requests for the family discount for what were really just general veteran's monuments or memorials. As a result, we have felt the need to give some general guidelines. 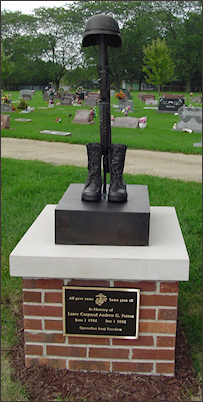 The cost for the sculpture (or at least the bulk of it) should be coming from the parents, spouse or siblings of an American service member killed while serving on active duty. 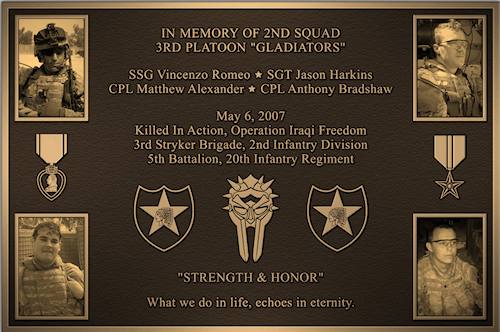 We will also extend this discount to active duty or reserve units that wish to purchase this sculpture to honor their fallen comrades because we understand that to the fallen and the surviving member of their unit they are family. 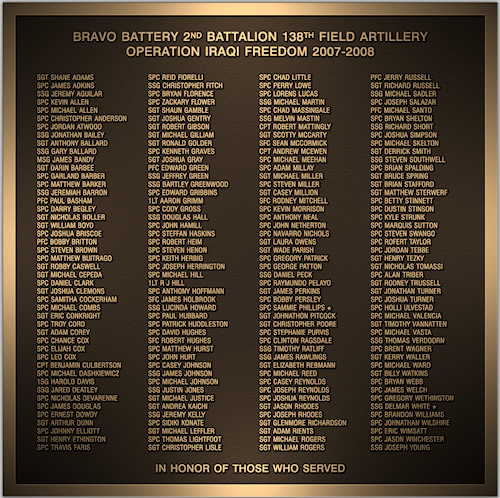 The fallen service member's name should be prominently displayed somewhere on the memorial or monument. Believe it or not, we have had civic and governmental organizations try to use the family of a fallen service member to obtain a discount for a monument or memorial to "all" veterans with no plans to even mention the specific fallen service member. However, we have encountered situations where cities and towns and even schools would not allow a family to put up an individual memorial for fear that they would set a precedent and would then be required to allow anyone to erect a monument or memorial to lost loved ones on public property. You can imagine that over time the area could become crowded with memorials. If you encounter this situation we recommend that you propose a general veteran's memorial with a second plaque that explains it was erected in the memory of your lost loved one.